He has been for over a month in a coma which was caused by a stroke. Obeid, who was recently elected as Member of the Syrian People’s Council, started his career in 1960. He held several positions, including the head of the Syrian Art Association. 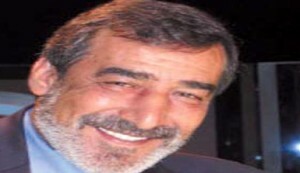 Obeid performed in a series of TV programs and theatrical plays, including al-Naser Salah al-Din, Wadi al-Misk, al-Jawareh, al-Bawasel, and Zekrayat al Zaman al Qadem.